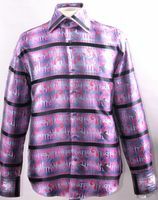 Designer Fashion is important when your image is concerned and wearing high collar shirts when you go out to your favorite Club at night. 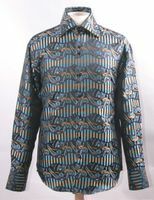 You like your designer fashion style high collar shirts to be worn un-tucked and have features like fancy fashion style high collars and double button cuffs or french cuffs because that's how you like to roll when you're clubbing. 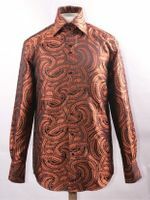 You also like your high collar shirts to be made of elaborate and fancy designed fashion material that shines all with the intention of getting you noticed when you're all dressed up on club night. 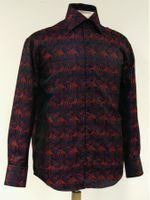 The unique designer style and fancy patterns you find on these high collar type dress shirts will reflect the Club lifestyle that you choose when you go out at night. 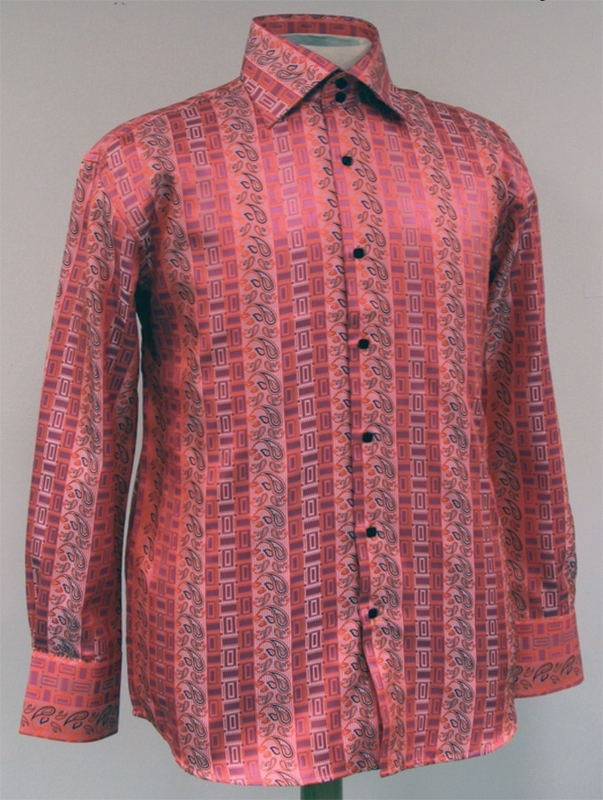 Wear them un-tucked and you'll have the correct night time club style at your disposal. 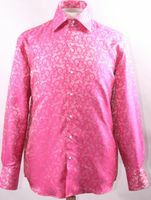 It isn't the type of shirt to wear with a Prom Suit. 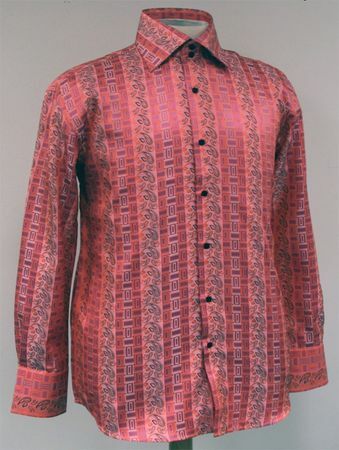 When you get right down to it. 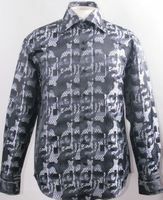 A high collar shirt is nothing more than an elaborate style mens button down shirt. 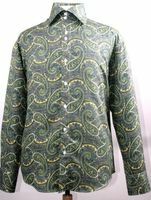 A colorful fashion hybrid of your basic dress shirt that have added fashion enhancements and made of fashion types of shiny colorful paisley satin shirt material that would never be worn to an office job. 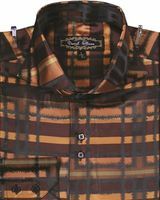 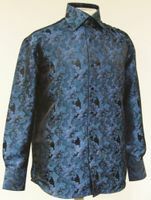 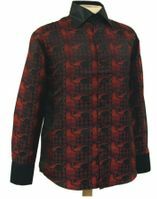 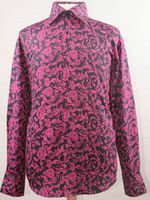 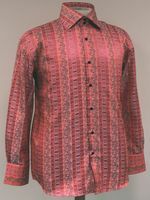 The high collar itself lends itself in a manner that shows that this shirt is a fashion style shirt and the added fashion features like double button oversized sleeve cuffs and fancy shiny paisley pattern fabrics that are colorful are how a mens fashion high collar button down shirt exhibits the fact that these are mens fashion shirts.